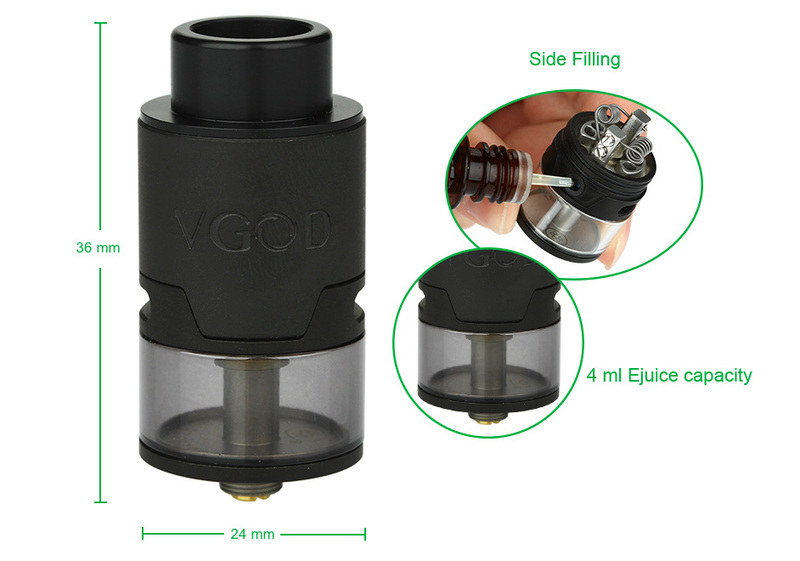 VGOD TRICKTANK PRO RDTA Atomizer is constructed of High Grade Stainless Steel and Glass. It is designed perfectly for the on-the-go user or those who prefer not to drip but still want a full flavored experience. Along with the easy side fill design and direct bottom draw airflow, it will offer you the best vaping experience!